Wait for it...we have news of casting switcheroos in Lin-Manuel Miranda's Tony-winning Hamilton. From mid-August, two-time Tony nominee Brandon Victor Dixon will join the company as Aaron Burr. Meanwhile, Lexi Lawson is set to board the Broadway cast on July 11 in the role of Eliza Hamilton. 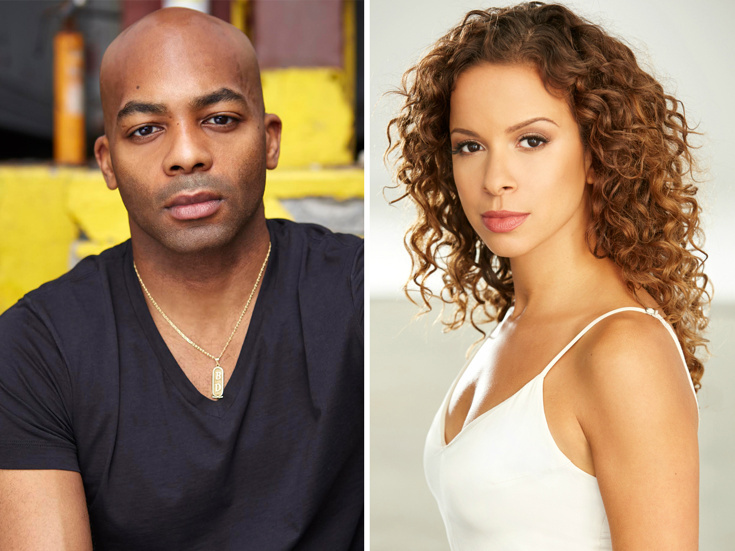 The pair replace Tony winner Leslie Odom Jr. and Tony nominee Phillipa Soo, respectively, who we already knew would be departing the tuner alongside Miranda on July 9. As previously announced, Javier Muñoz, Miranda's current alternate, will take on the titular role when he departs. We now know Michael Luwoye is set to perform as the alternate to Muñoz as Alexander Hamilton, again from July 11. Dixon was nominated last season for the Tony Award for Best Featured Actor in a Musical for Shuffle Along (which will close prematurely on July 24), and was previously nominated for Best Featured Actor for the original production of The Color Purple. His other Broadway credits include Motown: the Musical; he headlined The Scottsboro Boys off-Broadway and later in the West End, where he received an Olivier Award nomination for Best Actor in a Musical. As a producer, he won a Tony for Hedwig. Lawson returns to the music of Miranda, having performed in the first national tour of his Tony-winning Best Musical In the Heights in the leading role of Vanessa. Luwoye makes his Broadway debut in Hamilton; he was recently seen off-Broadway in Invisible Thread. Muñoz will play Alexander Hamilton seven shows a week, while Luwoye performs the role once weekly. Directed by Thomas Kail and featuring a book, music and lyrics by Miranda, Hamilton is inspired by the book Alexander Hamilton by Ron Chernow and is running at the Richard Rodgers Theatre. The current cast also includes Christopher Jackson as George Washington, Rory O’Malley as King George, Anthony Ramos as John Laurens/Phillip Hamilton, Tony winner Daveed Diggs as Marquis De Lafayette/Thomas Jefferson and Tony winner Renée Elise Goldsberry as Angelica Schuyler. The understudies for Burr are Andrew Chappelle, Sydney James Harcourt and Austin Smith.